I can still say I am super excited for their return, 22 years after their last release. The band released a new video for “Sugar for the Pill” this week. It’s off their forthcoming self-titled LP out May 5 on Dead Oceans. “Sugar for the Pill” sees a slightly different side of Slowdive. Many of the early songs were shrouded in your standard shoegaze fog, so drenched in reverb it almost had a fuzzed out distortion to it. The lyrics were near indecipherable at times. It’s something I loved about that era of shoegaze and of Slowdive’s early work. Here, it’s highly produced. The reverb more choral and atmospheric. It’s clean and poignant, melodic and melancholy. Some of these traits carry over from decades gone, while others are new friends. And the “Sugar for the Pill” video is a stunning array of color and shapes, highly computerized yet layered with occasional footage of individual band members. It’s serene; I quite like it. It’s quite a departure even from “Star Roving”, a track released back in January off the upcoming record. “Star Roving” finds more parallels with Slowdive’s early work. Namely, the sonic, ethereal guitars with a sound larger than space. While I really dig “Sugar for the Pill”, it’s in “Star Roving” that I find that comforting nostalgia of yesterday. It’s not nearly as emotive, not nearly as forthright. In both these songs, I hear elements of early Slowdive favorites like “Alison” and “Souvlaki Space Station” and “When the Sun Hits” off Souvlaki, and “Spanish Air” off Just for a Day. Side note, if you’re a fan of The Smiths listen to the opening likes of “Spanish Air” and tell me this isn’t the same chord progression of “Last Night I Dreamt Somebody Loved Me”. From their early work, “Sugar for the Pill” can be likened most to “Alison” whereas “Star Roving” holds more similarities to “Souvlaki Space Station”. And all are excellent. 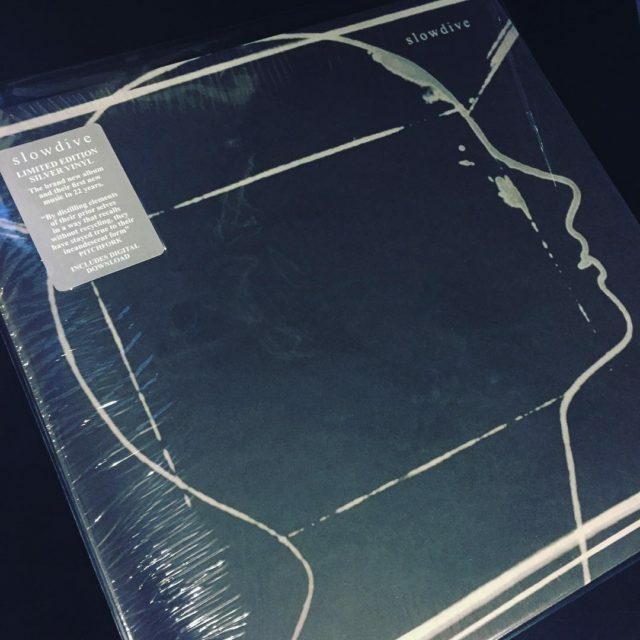 Keep yer eye out for Slowdive, the band’s first album in more than two decades, out soon on Dead Oceans. I’ll be pre-ordering my copy here soon.